Thanks to XDA-Developer forum user alephzain, word is reaching the masses that a potential “severe vulnerability” exists in the Samsung Galaxy S III, Galaxy S II and Galaxy Note II along with several other Samsung devices. This vulnerability could provide a malicious way for remotely downloaded apps to read user data, brick phones and perform other malicious activities. In other words, this hole could allow a malicious app free reign over your smartphone’s memory, and basically take complete control of your device. Prepare tin foil hats. “The good news is we can easily obtain root on these devices and the bad is there is no control over it,” alephzain writes. At the time, we’d say go about your business and let Samsung do its thing and hope that this suspected security hole isn’t around for long. Note: The Samsung Galaxy S III on T-Mobile uses a Qualcomm chip, so it won’t be affected, nor will the Galaxy S II, but the Note II does use an Exynos processor. The T999 has a Snapdragon instead of an Exynos so it isn’t affected by this. The T-Mobile version of the Galaxy S3 does have the Snapdragon, All of the US variants should have the Snapdragon chip. However, if anyone if the US got the international version of the S3 they need to know about this. Also the Note2, if I am not mistaken, has the Exynos chip. It is good to know either way. The only phone model that T-Mobile sells that is affected is the Note 2. 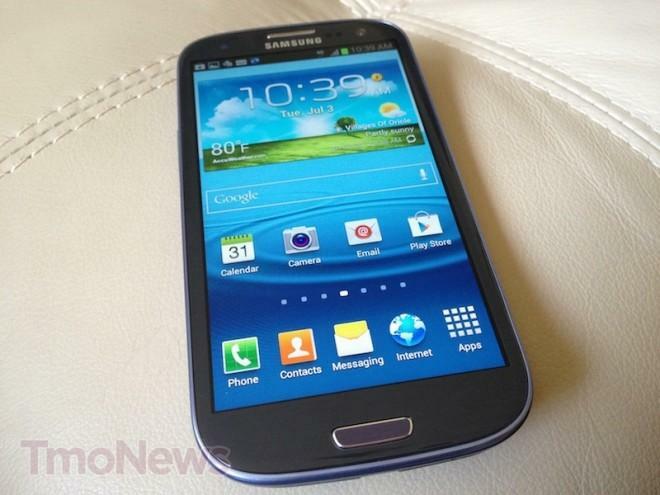 Additional international versions that are affected include the Galaxy S III, Galaxy S II, and Galaxy Note (1). …and Galaxy Tab Plus will be affected as well. Samsung and every other major cellphone manufacturer needs to hire xda developers as consultants, if they hadn’t already. It’s CPU design flaw and there’s nothing to do with any other manufacturer. Yeah, but the slooooooooow process of receiving any udates/upgrades from T-Mobile kinda re-kindles my emotions! I purchased my GN2 on opening day, and it needed the 4.1.2 update right out of the box. Now months later, still no update, and some dev found and exploit. I wonder how long the “snails” at t-mobile will take on this one? Once Samsung issues a fix, you can bet that T-Mobile will turn around and issue it right away. It’ll probably get packaged in with other fixes that are currently pending. I’m not worried about T-Mobile’s reaction time. I’m more worried about Samsung’s. US variants of S3 should be fine because the CPU is Snapdragon. For those with a Note 2, the guys at xda created an app to seal up the exploit. Go check it out of you’re paranoid or cautious user ;) The only drawback is it disables the camera but it can be turned on and off via app. I’m sure my fellow members are working on a better fix with no breakage at the moment.